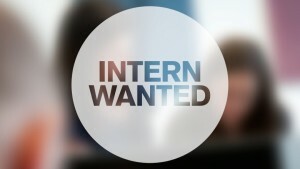 Home › FAQ › How Can I Find a Paid Internship? How Can I Find a Paid Internship? One way for a college student to put the theoretical principles that they’ve learned into practice while earning some extra money is by landing a paid internship. In recent decades, more colleges and universities have made experiential learning opportunities critical components of their academic programs. Internships give students the chance to see if certain careers are right for them before they graduate, and many schools match students with these job opportunities or help them to locate appropriate ones on their own. Here are some tips for obtaining paid internships. Most universities now have career centers to help students, recent graduates and long time alumni locate jobs that match their unique skills. These centers are usually staffed with faculty who help students and graduates craft winning resumes and cover letters as well as practice interviewing skills. These centers usually have listings of internship and permanent job vacancies for regional businesses. Many times the businesses and schools have forged relationships, and those businesses are usually satisfied with the quality of graduates from those particular schools. Interested students simply search for paid positions within their disciplines, apply and obtain recommendation letters from their instructors to successfully take advantage of these important industry contacts. Students, who are savvy enough to join professional associations during their college years, can position themselves for a number of opportunities before and after graduation. Professional organizations like the Association for Information Technology Professionals and the Professional Accounting Society of America offer students access to job boards and often facilitate mentor programs that further enhance students’ chances of gaining paid internships. Students who have taken leadership roles within student chapters of professional organizations are likely to be in the best positions to gain internships using contacts within professional associations. While the art of networking is invaluable, some students find that they can land a paid internships simply by searching online job boards that specifically target students and recent graduates. Internmatch.com, YouTern.com and Idealist are just a few online resources that allow students to search for nationwide paid internship opportunities. Successful candidates noted that they landed challenging, paid internships of $10.50 per hour by applying and participating in Skype styled or traditional phone interviews. One misconception of internships is that it is best to perform them during summer vacations. According to labor surveys, winter and spring semesters are when most of the paid internships are offered. Students should plan to set aside time for up to three months for these jobs and ideally choose internships that will enhance any course work that they will take during the same time frame. While an unpaid internship is better than no internship at all, paid internships are valuable in more ways than one. According to Dan Schawbel of Millennial Branding, students who participate in paid internships are more likely to be offered full time employment with those companies after they graduate. After a company has invested its funds to get to know students’ level of performance, knowledge and work ethic via a paid internship, it is unlikely that it will hire an unproven, recent college graduate instead. See also: What Extra-Curriculars are Good To Become Involved In When Applying to Law School?